Legends of the Fly is excited to bring the Commonwealth's fly fishing community together in Virginia Beach on March 10th, 2018! 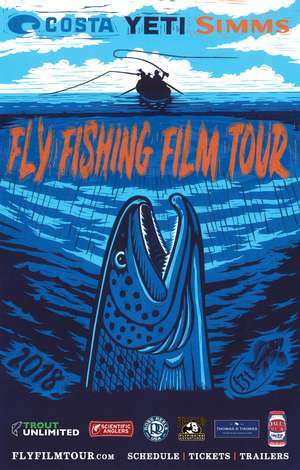 This year we will celebrate some of the best saltwater and freshwater fly fishing talent Virginia has to offer and will show the world renown F3T Film Tour! The Legend forum will be hosted by Captain Chris Newsome of Bay Fly Fishing and Colby Trow Owner of Mossy Creek Fly Fishing. This annual Legends of the Fly event is where our love for fly-fishing is equally matched by support for our local communities - all event proceeds will be donated to the Chesapeake Bay Foundation, Lynnhaven River Now, The Elizabeth River Project, and the Navy Seal Foundation. Doors open at 4pm and the show starts at 7pm and will end by 10pm. We have fantastic auction items, live music, dinner, fly tying, beverages, and much more! Additional information will be available at legendsofthefly.com! Tickets can be purchased in advance online for $35 or at the door the day of the event for $40. For more information contact John Fall at john.fall@traderinteractive.com or 757/572-8064.